Contemporary set and experimental adaptation of Shakespeare's 'Scottish play'. Without the settings directly inspired by the original text, key moments of the play and important character traits like Lady Macbeth’s manipulation are lost in this experimental approach. Without a previous knowledge of ‘the Scottish play’, viewers could potentially become completely disorientated. 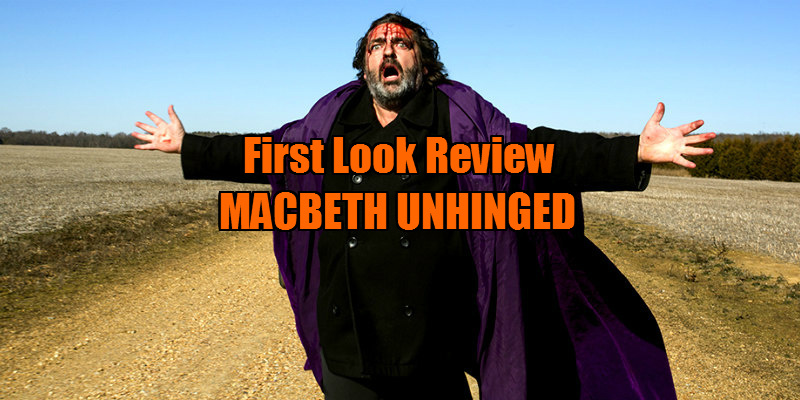 Scottish actor Angus Macfadyen (Robert the Bruce in Braveheart) writes, directs and stars in this modern and challenging adaptation of Shakespeare's Macbeth. This interpretation transports Shakespeare’s play to a predominantly urban setting and the events are captured in black and white. Here, Dunsinane is not a castle, but a stretch limousine. 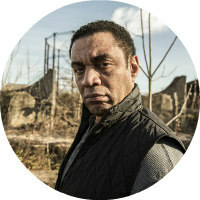 The characters are forced to act out much of the plot within its claustrophobic confines, while the car crawls through the derelict streets. After their initial prophecy instigates the action, the witches, here in the guise of trashy floozies, become subsumed into the entire play as overseers of the tragic unravelling of events. In the back of the limousine, the ambitious Lady Macbeth (Taylor Roberts) and her increasingly isolated husband gradually lose their minds. Macfadyen speaks Shakespeare’s words in an authentic Scottish accent, which lends the lines a ferocity and grittiness rarely heard. In the claustrophobic setting of a limo, Shakespeare’s play has the feeling of being off-kilter and muddled. This does successfully aid in conveying Macbeth’s descent into madness, which, as the title of the movie suggests, may be the main exercise of this particular adaptation. Filmed in monochrome, the dismal scenery glides past the windows of the limousine forming a backdrop to Macbeth’s growing paranoia and the crippling guilt creeping upon him and his wife. To underline the discomfiture, the audio is a jarring cacophony of discordant music. Macbeth Unhinged is certainly bold, visually and aurally, and there are interesting touches in the editing - Lady Macbeth's face is superimposed over Macbeth’s as they torment themselves over their dark deeds. However, without the settings directly inspired by the original text, key moments of the play and important character traits like Lady Macbeth’s manipulation are lost in this experimental approach. The depiction of King Duncan as a lecher, and the portrayal of his and Banquo’s murders come across as disjointed and confusing. Eventually, the dissonance of the music and the dialogue become annoying, because it is not given a proper context. Without a previous knowledge of ‘the Scottish play’ viewers could potentially become completely disorientated. 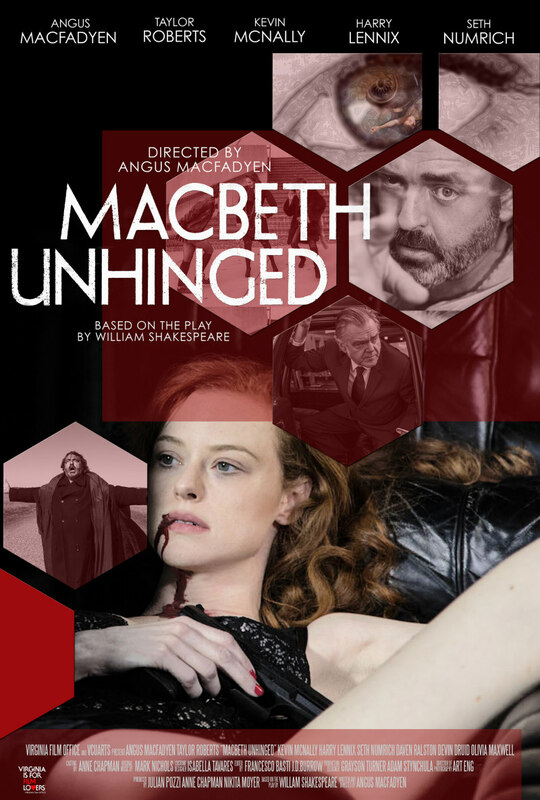 Macbeth Unhinged was clearly a passion project for Macfadyen, and one must admire him for approaching an oft-adapted text in an original manner. The urban backdrop, experimental style, unsettling sound design and grimy visual surrealism convey the characters’ struggle for sanity and existential meaning in a dog eat dog world which deals only in the survival of the fittest. It deserves to be noted that Macfadyen collaborated with Virginia Commonwealth University School of the Arts students in a move to give trainees the opportunity to work with skilled professionals within the film industry – a refreshing move when trainees often find it hard to get started and gain experience in their chosen-career. It will be interesting to see what Macfayden turns his hand to next.